START is excited to announce our new Common Room creative workshops, open to everyone. 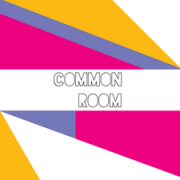 The Common Room is a programme of public workshops at The Make Space, START’s studio in Walkden. The workshops are all taught by professional artists and offer a friendly place to learn new skills and meet others. All sessions take place from 1.30-5.30pm. Workshops start at £25 and the proceeds will support START’s projects that deliver creative arts sessions for people experiencing mental ill health, which promote emotional wellbeing and recovery for people across Salford. Brexit – Millions are ready for an opportunity… Why social enterprise?